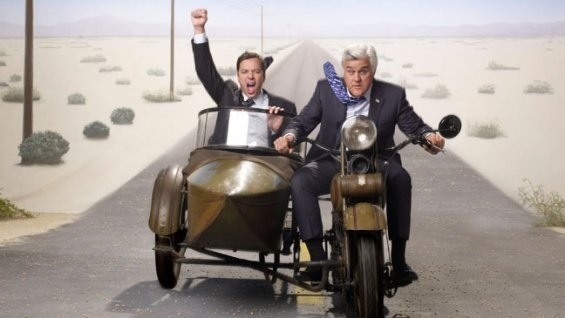 After weeks of speculation, Jay Leno has officially announced that he is leaving the Tonight Show. And, television, as we know it, has taken a strange turn and embraced a newer, “hipper”, McDonald’s kind of comedy – where we can mindlessly play with our iPads and sort of watch whatever is on TV. Now, don’t get me wrong, I think Jimmy Fallon is a great guy and wonderful comedian. I just don’t particularly like his brand of – how shall I put it – talk show hosting? He seems awkward and stiff, although I understand the appeal he may have to a demographic who can no longer relate to Jay’s brand of humor and intensive interview skills. The world has changed, the thinking has changed and, historically, television has always been a reflection of the way we live. Social media, where quick Tweets and Facebook status updates govern the manner in which we communicate, has taken over. And Jimmy Fallon is a reflection of this, having successfully embraced technology, incorporating it into his late night talk show. So, it’s his turn at bat and I do wish him well. (CNN) — On Wednesday, Jay Leno confirmed the rampant reports that he’s once again departing “The Tonight Show,” presumably for good this time. He’ll wrap up his 22-year run as host in spring 2014, with Jimmy Fallon officially signing on as his replacement. According to a statement from NBC, “As part of the transition, ‘The Tonight Show’ will be returning to its original home in 30 Rock in New York” from Leno’s base of Los Angeles. So, it’s the end of an era and Jay Leno will most certainly be leaving on a high note when his final show airs in the Spring of 2014. Then, it’s over to Jimmy Fallon! But the question remains: “Where will Jay be”? Ah yes, therein lies the rub! Bravo review! Will miss Jay terribly. Unfortunate loss no matter what people think! Well, thank you and welcome Maria!! I have a feeling that NBC will do some specials with him. I really love the guy as well. Don’t know why he receives such bad press.